All you need to know about VirtualCards App! So what can you do with VirtualCards? Keep all your loyalty cards in your phone. 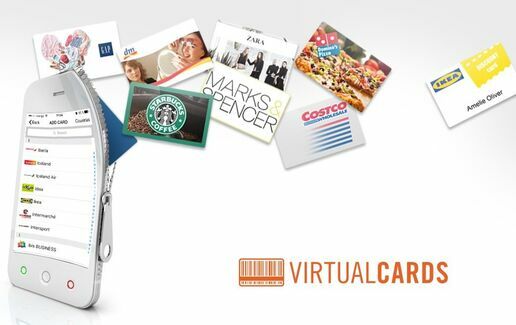 Instead of squeezing them all in a small wallet, add each of them in VirtualCards. Instantly scan the barcode visible on your plastic card and your cards will be transferred in your smartphone. Your wallet will be lighter and you’ll always have your loyalty cards when you need them. Aim for global! As we expand globally we are aiming to reach your community too. Ask for us at your local supermarket and let’s convince stores to join us in an environmental friendly century. You’ll be able to get a new loyalty card straight from this App, see the newest offers and promotions and get notifications from your favorites merchants. All these without filling any paperwork. Everything will be digital, when you want it, whenever you need it. Create a shopping list. What do you need to buy today? Write it or say it out loud (using the voice option) what you need to get. Your shopping list will be ready quickly and it will be shown on your phone’s screen. While in stores, you can cross off your virtual list the products as you buy them. If you want to send the shopping list to your family or to a friend, you can share it through text messages, e-mail or social media. Share with your friends! Share your favorite App with your friends through social media, e-mail or text messages. We’re waiting for you on our Facebook page as well! You still don’t have VirtualCards on your phone? Now you have no reason to wait!